I love chunky knits so when I saw these Size 35 (!) knitting needles I bought them immediately! I’ve never worked with such large knitting needles before. They took some getting used to- it kind of felt like knitting with broomsticks! After a few rows I got the hang of it and I love the giant knit the large needles achieve. Another great thing- your projects knit up so fast! 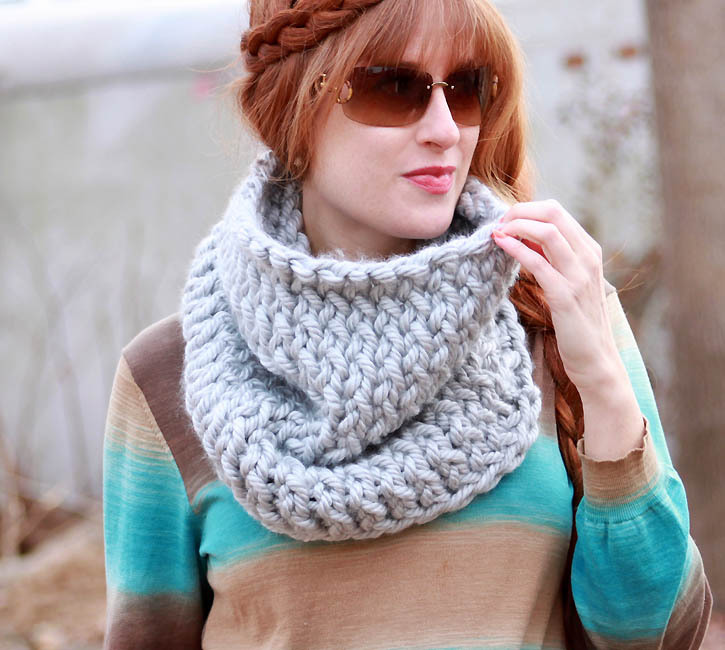 I decided to create a simple cowl knitting pattern. When it comes to working with giant needles, the basic designs work better than intricate patterns. Hope you like it! Cast on 34 stitches. Work in Stockinette Stitch (knit one side, purl the other) until piece measures 13 inches. Bind off and sew the side seam. 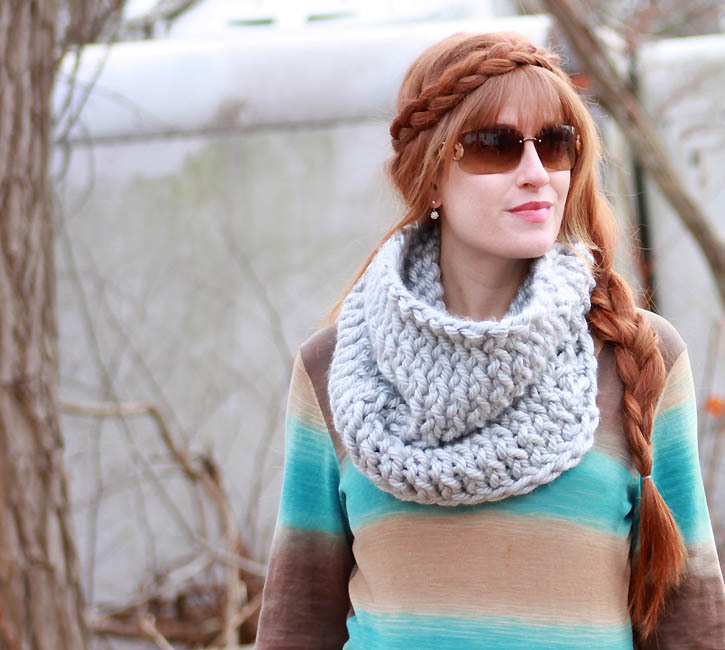 Want more Chunky Knitting Patterns? So pretty colors together! Love your hair too. Did you knit the 2 skeins together?